From Harold Bloom, one of the greatest Shakespeare scholars of our time, comes an intimate, wise, deeply compelling portrait of Cleopatra—one of the Bard’s most riveting and memorable female characters—in “a masterfully perceptive reading of this seductive play’s endless wonders” (Kirkus Reviews). Cleopatra is one of the most famous women in history—and thanks to Shakespeare, one of the most intriguing personalities in literature. She is lover of Marc Antony, defender of Egypt, and, perhaps most enduringly, a champion of life. Cleopatra is supremely vexing, tragic, and complex. She has fascinated readers and audiences for centuries and has been played by the greatest actresses of their time, from Elizabeth Taylor to Vivien Leigh to Janet Suzman to Judi Dench. 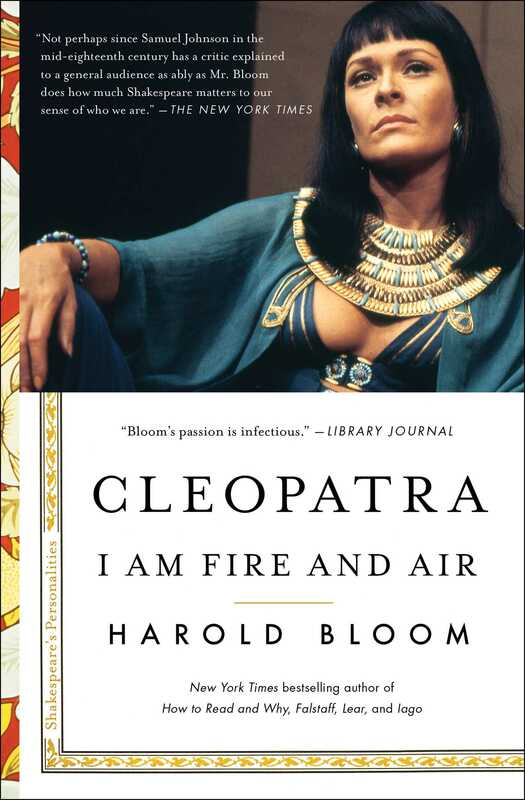 Award-winning writer and beloved professor Harold Bloom writes about Cleopatra with wisdom, joy, exuberance, and compassion. He also explores his own personal relationship to the character: Just as we encounter one Anna Karenina or Jay Gatsby when we are in high school and college and another when we are adults, Bloom explains his shifting understanding of Cleopatra over the course of his own lifetime. The book becomes an extraordinarily moving argument for literature as a path to and a measure of our own humanity. Bloom is mesmerizing in the classroom, wrestling with the often tragic choices Shakespeare’s characters make. With Cleopatra, “Bloom brings considerable expertise and his own unique voice to this book” (Publishers Weekly), delivering exhilarating clarity and inviting us to look at this character as a flawed human who might be living in our world. The result is an invaluable resource from our greatest literary critic. I fell in love in 1974 with the Cleopatra of Janet Suzman, the South African actress who was then thirty-five. Forty-three years later her image lingers with me whenever I reread Antony and Cleopatra. Lithe, sinuous, agile, and exuberant, Suzman’s Cleopatra is unmatched in my long years of attending performances here and in Great Britain. The ferocity of the most seductive woman in all of Shakespeare was caught in an athletic portrayal whose mood swings reflected the propulsive force of this woman’s sexuality at its apex. Mark Antony’s was by Caesar. The vast panoply of Antony and Cleopatra comprehends rather more than wanton dallying. Yet without the fierce sexuality that Cleopatra both embodies and stimulates in others, there would be no play. The nasty vision of Cleopatra as an Egyptian dish is augmented by Shakespeare. As he knew, she had never been the lover of Pompey the Great, who had arrived in Egypt only to be assassinated, at the command of Ptolemy XIII, one of Cleopatra’s brothers. When Julius Caesar arrived in Egypt, Ptolemy XIII presented him with the head of Pompey the Great. Caesar, outraged at the affront to Roman dignity, executed the assassins. Shakespeare, taking a hint from Plutarch, has Antony add Gnaeus Pompey, Pompey the Great’s son, who had visited Egypt but did not get to taste Cleopatra’s electric bed. It is important to note that the Ptolemaic dynasty, and Cleopatra as its final monarch, was a Macedonian Greek family descended from one of Alexander the Great’s generals. Cleopatra was the first and only Ptolemaic ruler who spoke Egyptian as well as Greek. She saw herself as an incarnation of the goddess Isis. Following her joint rule with her father, Ptolemy XII, and then with her brothers, Ptolemy XIII and XIV, each of whom she married, Cleopatra moved against her brothers and became the sole pharaoh, consolidating her role by an affair with Julius Caesar. Mark Antony was his successor and became the principal passion of her life, a love at once sustaining and mutually self-destructive. These bare facts are surprisingly misleading when we confront two of Shakespeare’s most exuberant personalities, Cleopatra and her Antony. Always a magpie, Shakespeare employed Plutarch and perhaps Samuel Daniel’s The Tragedy of Cleopatra for source material. Modern historians suspect that Octavius Caesar may have executed Cleopatra, or at least induced her to suicide, which would mar and even destroy Antony and Cleopatra, since her exalted apotheosis of self-immolation would lose its imaginative force. Octavius executed Caesarion, whom Cleopatra bore to Julius Caesar, and Antyllus, the son of Antony by Fulvia. He did, however, spare the other children of Antony and Cleopatra. One way to begin apprehending Cleopatra and Antony is to appreciate that they are the first celebrities in our debased sense. Charismatics, the lovers confer shreds of their glory on both their followers and their enemies. Their bounty is boundless. Antony is generous, Cleopatra something else. Hers is a giving that famishes the taker. She beguiles and she devastates. Shakespeare follows Plutarch in showing us an Antony who is fifty-four and a Cleopatra who is thirty-nine when they first meet. Antony declines throughout the drama while Cleopatra increases in vividness and at last achieves greatness through her suicide. Poor Antony blunders and bungles. His ultimate travesty comes as he is dying and is hoisted up to the monument where Cleopatra has immured herself lest Octavius take her captive. Somewhat departing from Plutarch, Shakespeare made Hercules rather than Bacchus or Dionysus the genius or daemon of Antony. Cleopatra’s identification with the goddess Isis, whose name meant “throne,” is crucial for understanding the mythic aspects of her personality. Isis gathered up the remnants of her brother and husband, Osiris, and thus aided his resurrection. The annual rising of the Nile was attributed to the tears of Isis lamenting Osiris. Must be in love with me. Much in Shakespeare’s Cleopatra always will remain a mystery. Like Falstaff, perpetually she acts the part of herself. Theatricality is as acute in Antony and Cleopatra as it is in Henry IV, Part 1 and in Hamlet. Cleopatra will not share the stage with anyone. Mercutio in Romeo and Juliet is her forerunner. Shakespeare has to kill him off before he steals the show. You cannot kill Shakespeare’s Cleopatra or his Falstaff because their plays would die with them. Though in thy store’s account I one must be. That nothing, me, a something sweet to thee. And then thou lov’st me for my name is Will. Shakespeare might well be addressing that sexual matrix, his Cleopatra. Though she has wit, canniness, political sagacity, and endless cunning, her prime attribute is astonishing sexual power. Perhaps this Cleopatra was Isis to Shakespeare’s Osiris. Nowhere else, except perhaps in the Sonnets, does he yield so completely to a fascination that nevertheless frightens him. I recall again my reaction to Janet Suzman’s Cleopatra, which vacillated between desire and revulsion. Personality in Shakespeare develops rather than unfolds. Cleopatra bewilders us because she is cunning beyond male thought. She can be as witty as Falstaff, has the craftiness of Iago, as well as Hamlet’s implicit ability to suggest transcendent longings. And she is irresistible. 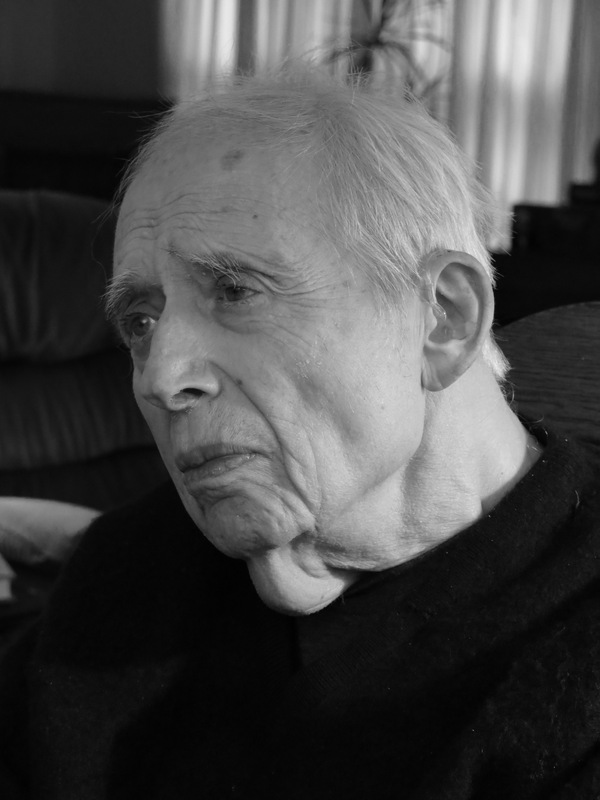 Harold Bloom is Sterling Professor of Humanities at Yale University. He has written more than sixty books, including Cleopatra: I Am Fire and Air, Falstaff: Give Me Life, The Western Canon, Shakespeare: The Invention of the Human, and How to Read and Why. He is a MacArthur Prize fellow, a member of the American Academy of Arts and Letters, and the recipient of many awards, including the Academy’s Gold Medal for Criticism. He lives in New Haven, Connecticut.